Electronic health records (EHRs) make it easy for medical professionals to share information regarding an individual across multiple organizations. For instance, if a cardiologist needs information about a person’s medical history, the family practitioner can send along the patient’s medical history in a matter of seconds. This makes it easier for health care professionals to make decisions about a patient’s care in real time and ensure that treatment is delivered in a timely fashion. However, the ability to transfer medical records so seamlessly is only effective if the information contained in the records is accurate. Unfortunately, it is not uncommon for records to be inaccurate. EHRs were initially introduced to eliminate mistakes that were the result of the infamous “doctor scribble” and to make patient notes more legible for everyone who needed to refer to them. This, in turn, was supposed to eliminate instances of medical malpractice. However, as all things do, EHRs started out with a noble purpose but really made no apparent changes to the healthcare system. Despite that, the Health Information Technology for Economic and Clinical Health (HITECH) Act of 2009 was created to encourage medical practices to implement strictly EHRs by penalizing those who did not. For those who did not implement the system, their Medicare and Medicaid reimbursement rates were reduced by one percent every year. The Act aimed to have every medical care provider on the system by this year. According to Politico.com, an elderly woman once stabbed herself with a gardening tool. The emergency room nurse checked the “Unknown/Last Five Years” tab in answer to the question regarding the status of the woman’s last tetanus shot. The woman had never in her life received a tetanus shot. The doctor, however, took the nurse’s response to mean that she had had one within the past five years, and so didn’t administer the proper treatment. The woman ended up dying of tetanus. Pure negligence (intentional modification of patient records). Though there are steps that you can take to protect yourself, such as reviewing your prescriptions and requesting a copy of your medical records, it is not your responsibility to ensure the accuracy of your medical records—it is the responsibility of the professionals. You place your trust—and likely a great deal of money—into the hands of healthcare providers. In return, they must provide you with the accurate and timely care that you deserve. If you or a loved one received improper, inadequate, or no care because of inaccurate medical records, and if such care resulted in a worsened condition or death, you may be entitled to compensation. 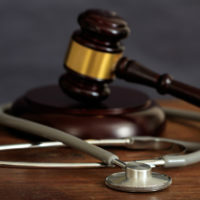 The experienced Miami medical malpractice lawyers at Spencer Morgan Law can help you build a case proving error in your EHRs and show how that error lead to your wrongful treatment. To get started with your case, call 305-423-3800 to schedule your free consultation today.